B2B payments, unlike B2C payments, usually happens on credit.This means that apart from having the downsides of delayed payments the business also has to deal with the additional overhead of follows ups and the additional risk of non-payments. To come up with a customized email workflow, Initially, You should come up with the segments for each of the automated workflow. The above needs to be done for each of the segments defined by you depending on your business requirements. 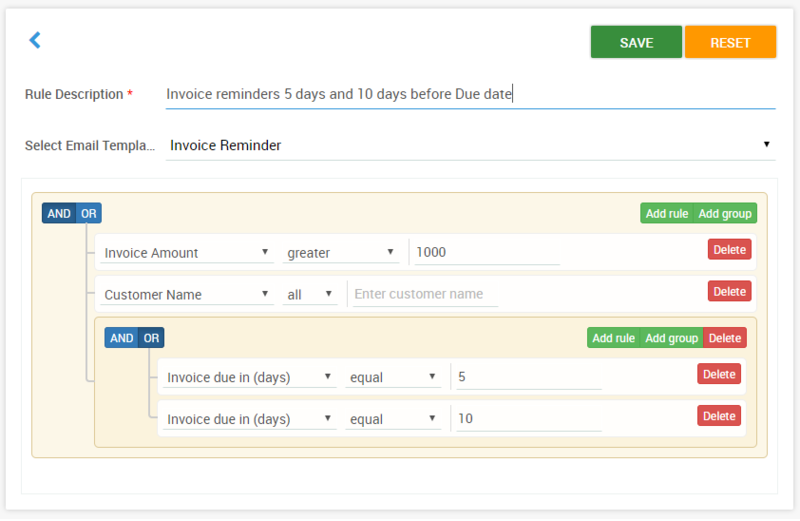 Does Automated payment reminder work flows work? Studies says they do ! The research (link above) talks about a field experiment done with microlenders in Uganda to test the effectiveness of financial incentives vis-a-vis payment reminders. It was found that simple payment reminders were as effective as financial incentives in ensuring timely loan repayment.
. To put this in numbers timely and regular SMS messages ( which costs almost nothing ) were as effective as 25% reduction in the monthly interest rates (on timely payments) in ensuring timely loan repayments. As can be seen, by the results of the research, Timely reminders go a long way in getting paid on time and needs to be as automated as possible to avoid manual tasks and consistency. It’s not just important to have an automated system to send reminders.It’s also important to have a mechanism to customize messages, frequency of messages according to the customer and risks involved etc. A long-running customer of yours who usually pays on time needn’t require multiple reminders.A simple one-time reminder a few days before the due date may be good enough.